In the 1960’s, a great white shark attack survivor named Rodney Fox visited the lion enclosure at Adelaide Zoo, and was inspired to pioneer a shark cage to safely observe sharks in their natural habitat. 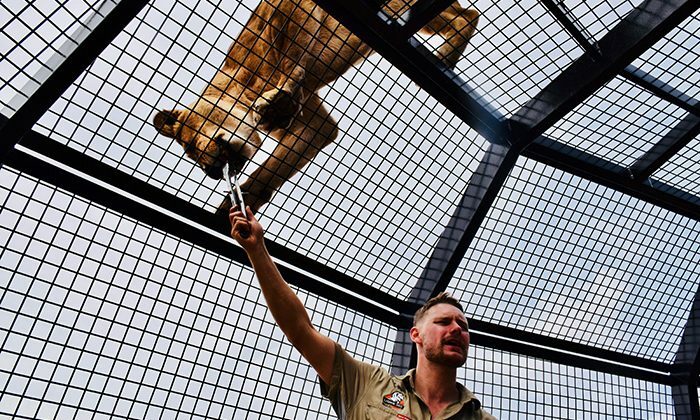 Coming full circle, Zoo SA was inspired by Rodney’s shark cage diving to create the world’s first lion cage experience, located inside the Monarto Zoo outside of Adelaide. 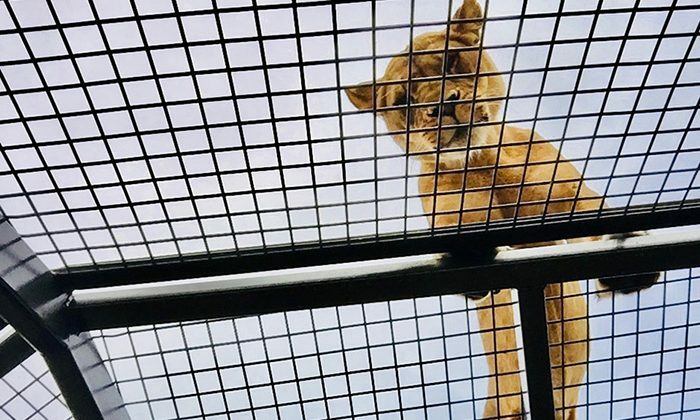 With a strong focus on conservation, lions draw in with the promise of daily snacks, surrounding visitors very grateful to be inside a large, caged enclosure. 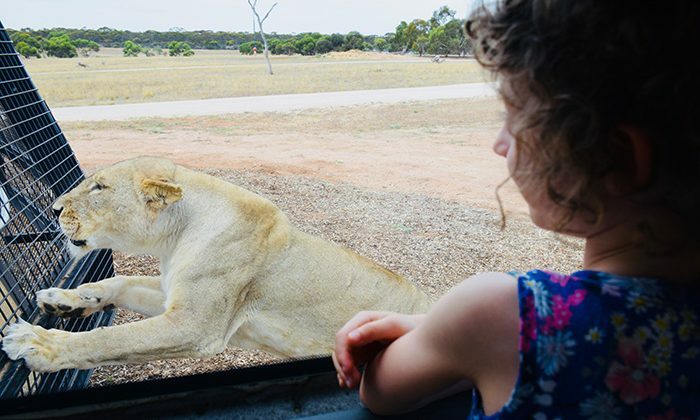 Length of Trip : The tour lasts about an hour and twenty minutes, but you can easily spend a half or full day checking out the other animals at Monarto Zoo. 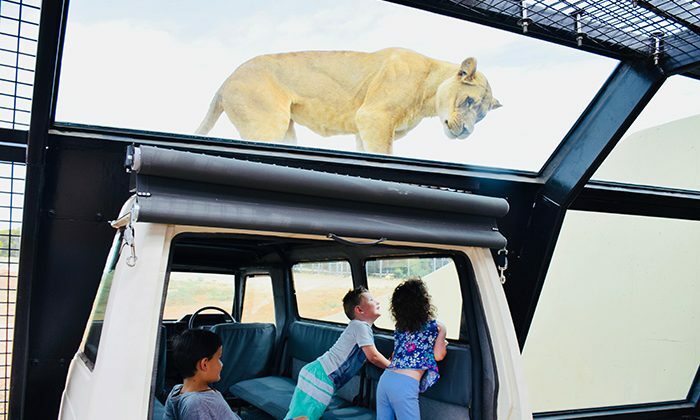 Best time to go : The Lions360 experience takes place twice a day, weather dependant, at 11.15am and 1.05pm. 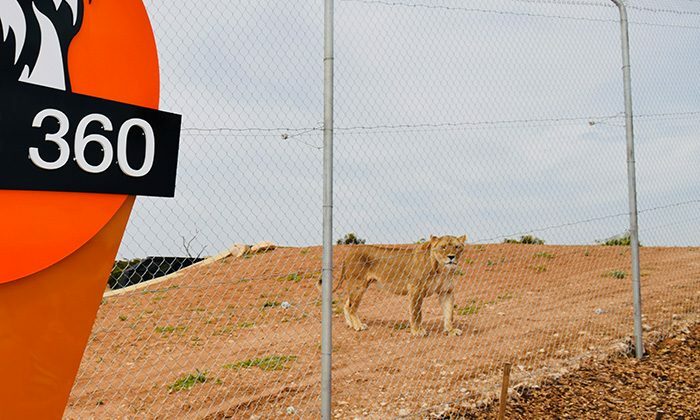 Monarto Zoo is open year round. In Adelaide, we recommend our partner the Oaks Hotels, either downtown at the central Oaks Embassy: or in lovely Glenelg at the Oaks Plaza Pier on the beachfront. From Adelaide by car: take the Monarto exit off the South Eastern Freeway to the Princes Highway and follow the signs. Approximate travelling is time 60 minutes – distance approximately 65km from Adelaide CBD to Monarto Zoo. From the East by car: take the Murray Bridge exit off the South Eastern Freeway to the Princes Highway and follow the signs. Approximate travelling time 15 minutes – distance approximately 14km from Murray Bridge to Monarto Zoo. 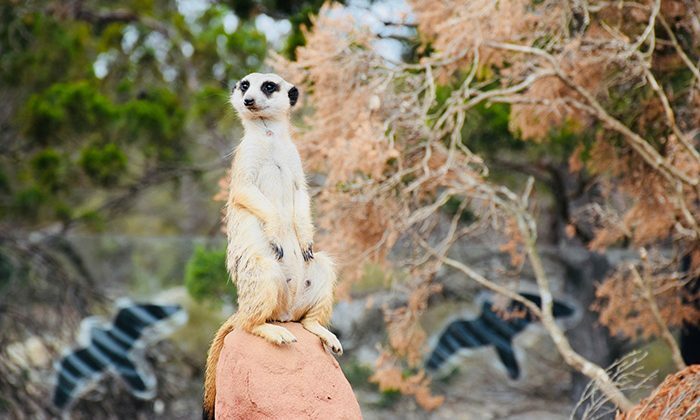 LinkSA operate a direct service from Adelaide CBD to Monarto Zoo from Monday to Friday in the morning with a return trip to Adelaide mid-afternoon. You can also access the Zoo from Murray Bridge via LinkSA services.